No one wants foul odors in their home, especially when they come from the partially clogged drains in your kitchen. A smelly house not only makes things unpleasant, but the smell only gets worse unless it is dealt with properly. The trick to eliminating the odor remains simple — find the source and remove it! Many signs exist when you notice an odorous drain. Small odors can be fixed easily, but acting fast is key. Large issues often require professional assistance from a licensed plumber. Dry p-trap. The p-trap is the curved section of the drainpipe under the sink. This captures water to form a plug against sewer gases coming back up the pipe. This proves to be a common problem in sinks that don’t get used very often. Guest bathrooms tend to have this issue. Venting problems. Venting pipes are there to prevent sewer gases from entering your home. These pipes get clogged from debris, animal nests, snow and more, and force sewer gases down and up through the drains. This causes smells no one wants. Sewer line issues. If you find that the odor is coming from multiple sinks, the trouble may be more than just a clogged drain. There might be a break or block in a sewer line carrying waste water. The odor is potentially accompanied by clogs and bubbling sounds. Biofilm. We all know that many different substances go down our drains; hair, body oils, shampoo, soaps, water, and many more. These substances create biofilm and as it accumulates it begins releasing an odor. Trapped food. We all know that food gets a little smelly after a while. 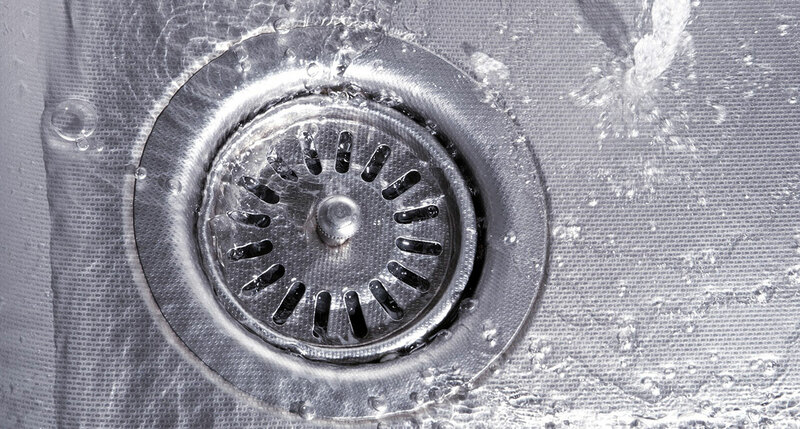 If your drain becomes blocked or is running slow, there may be food trapped in there. The issue with trapped food is that it decomposes within the pipework producing an odor. For more information on the drain odors from the experts at Rapid Plumbing & Drain Service, please contact us here or call us directly at 800.937.5667.